New Honda Scoopy PGM-FI shows status as king of scooter it is strengthened in recent Scoopy. 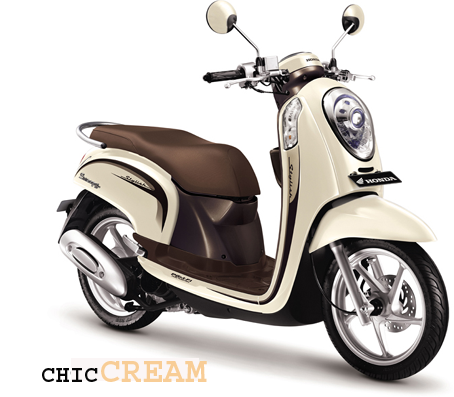 In terms of design, features, and fuel intake system for Scoopy has undergone many changes. 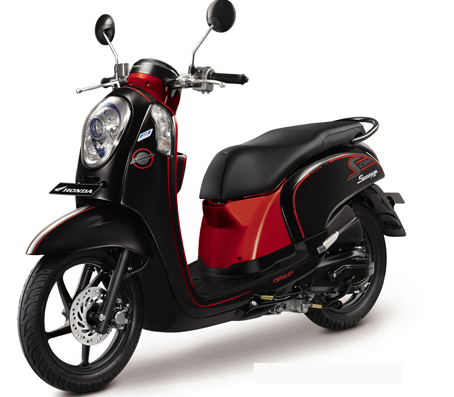 New Honda Scoopy PGM-FI is now more Sporty and Stylish for consumers in Indonesia. The changes seen in headlights use projector headlight is the first breakthrough in the scooter segment. 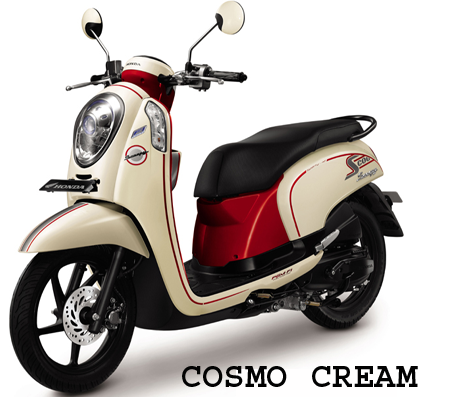 New Honda Scoopy equipped with a powerful engine of 110 cc PGM-FI that offer performance dynamic which claimed more powerful, more economical, and more environmentally friendly with Euro 2 emission standards. 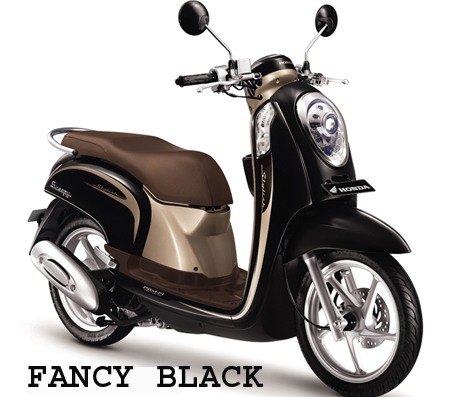 In Indonesia, Honda New Scoopy FI available in two variants: Sporty and Stylish. For New Honda Scoopy Variant Sporty marketed with choice of 2 colors: Metro Black and Cosmo Cream. 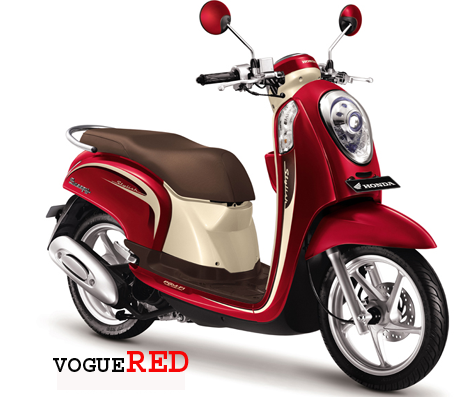 and for variants Stylish have 3 color choices are Fancy Black, Chic Cream and Vogue Red.